The official announcement of the OnePlus 6 is still hours away. But we have successfully got the official or OnePlus 6 Stock Wallpapers here. The latest and most updated OnePlus phone of 2018 is already the most anticipated one. There are numerous rumors about this device all over the web already. The design, press renders, specs sheet everything has been leaked so far, ahead of the official announcement. Just like all other flagship smartphone makers. The OnePlus 6 is also coming with the Notch and a glass back to enable the wireless charging. 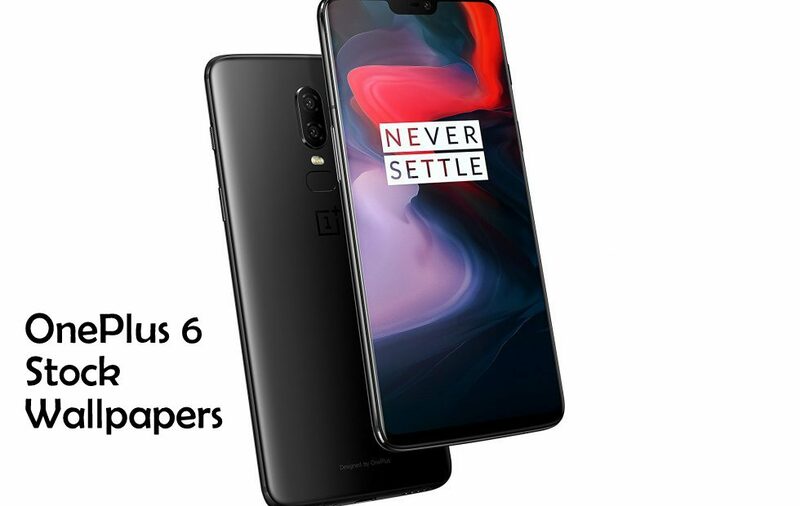 The official Wallpapers of the OnePlus 6 have also been leaked by a developer who go the access to the system dump of the device. Talking about the leaked specs sheet. The OnePlus 6 comes with a giant 6.28 inches display with a notch. Having a resolution of 1080 x 2280 pixels, and a new 19:9 ratio have the 420ppi pixel resolution per inch. The device houses the most powerful Qualcomm SDM845 Snapdragon 845 and Octa-core (4×2.7 GHz Kryo 385 Gold processors. Which are supported with 6GB and 8GB RAMs along with the top of the line Adreno 630 GPU. There would be 3 variants of the device on the bases of internal memory. The 64 GB/ 128 GB both comes with 6GB RAM. While the gigantic 256 GB will come with 8 GB of RAM. The OnePlus 6 will come with the Dual 16 megapixel main camera on the back. While another 16 megapixel unit as a selfie camera on the front. The device is expected to have 3,300 mAh battery which is non-removable. Now talking about the Stock Wallpapers of OnePlus 6. There are 10+ OnePlus 6 stock wallpapers styled backgrounds which you can either download one by one from the given gallery below. Or simply download the Zip file given at the end of the post so that you can download the bulk all together. Download Zip file from here: OnePlus6 Stock Wallpapers.zip. These wallpapers can also be categorized as. Samsung Galaxy J4 Stock Wallpapers.